Earlier this year, Google announced a separate version of Android dedicated for smart wearable devices such as smartwatches. Motorola and LG have already announced the Android Wear running Moto 360 and G Watch respectively. 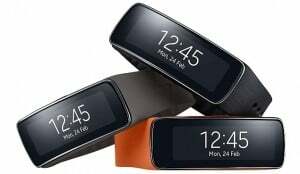 But Samsung was still using its own Tizen OS for its smartwatches such as Gear, Gear Fit, etc. According to a new report by CNET, Samsung might introduce new smartwatches running Android Wear. Also, Samsung is said to be working on both, Snapdragon and Exynos processor based smartwatches. HTC and Asus, partners for Android Wear, are yet to announce watches based on Android. Sony on the other hand, doesn’t have any plan to use Android Wear. They intend to use their own version of Android for smartwatches.